I get lots of ideas for crafts and projects when I’m at my parent’s house, largely because they’re both pretty creative, I think. So when we went to visit so Rob could buy his new car and I could refill my prescriptions I wound up making things as I often do. Taken away with the joy that I feel when the seasons change, and knowing that I wouldn’t get to experience that feeling when I went back home I decided to relish in it and make a wreath for my parents’s front door. It went like this… I asked my dad if he would give me a rake. He didn’t even ask why because he’s cool like that. He explained he had 2 and that one was quite expensive but I could take my pick. Since I was making a wreath I took the cheap, plastic rake and then proceeded outside to spray paint it pink. 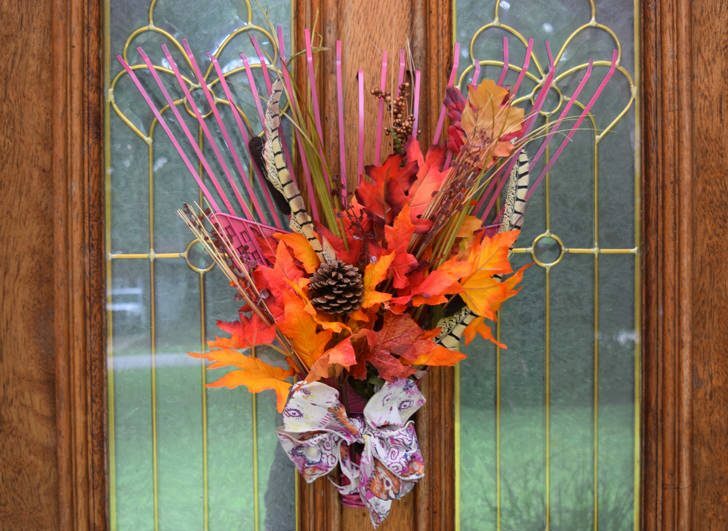 Again, he said nothing because me asking to have one of his rakes and then spray painting it pink is, like, such an ordinary type of thing for me to do :) At any rate that pink rake became the base for the new wreath on my parents’ front door. 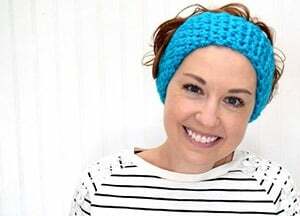 It was super easy and inexpensive to make, which makes me quite happy, and it was well received which also makes me happy. 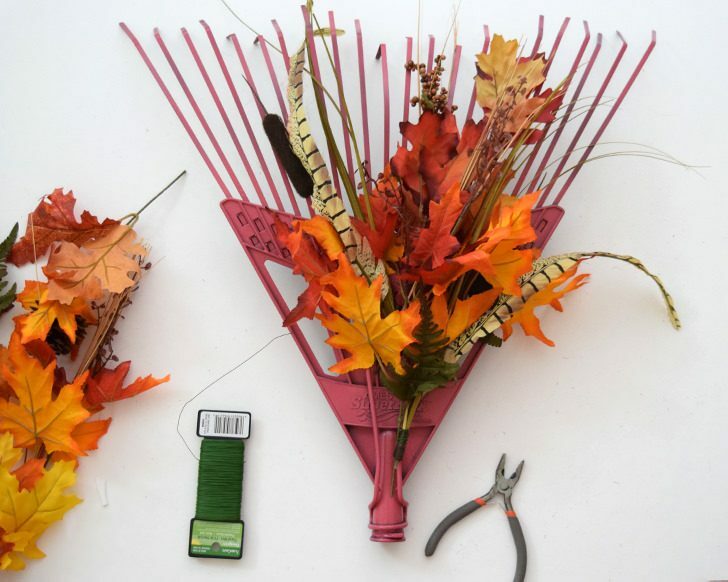 Let’s get on with it and make a rake wreath shall we? Floral wire <— you can see what I’m talking about here but don’t buy it here. It’s grossly overpriced! 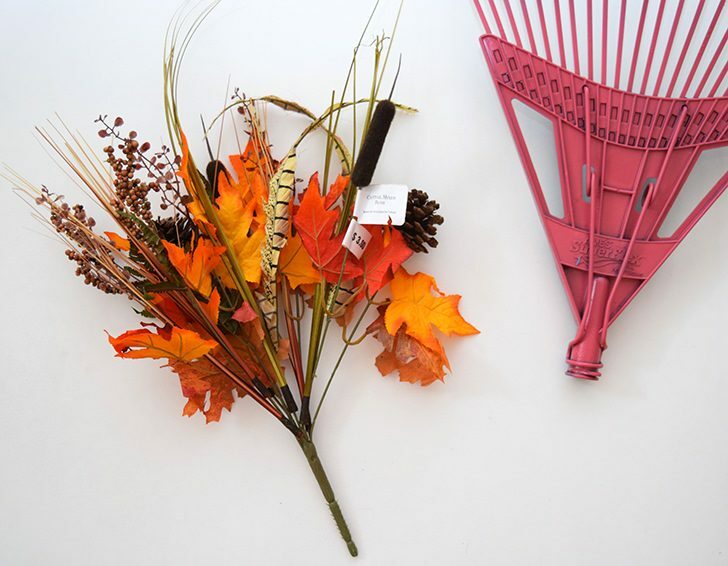 First you’ll need to remove your rake head from the wooden handle. 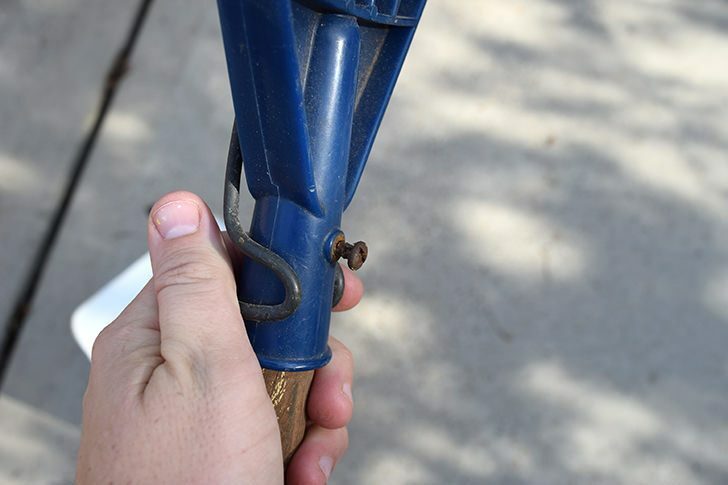 Mine easily removed by unscrewing this bit here and then sliding the rake head off. Yours will probably be somehow similar in design. 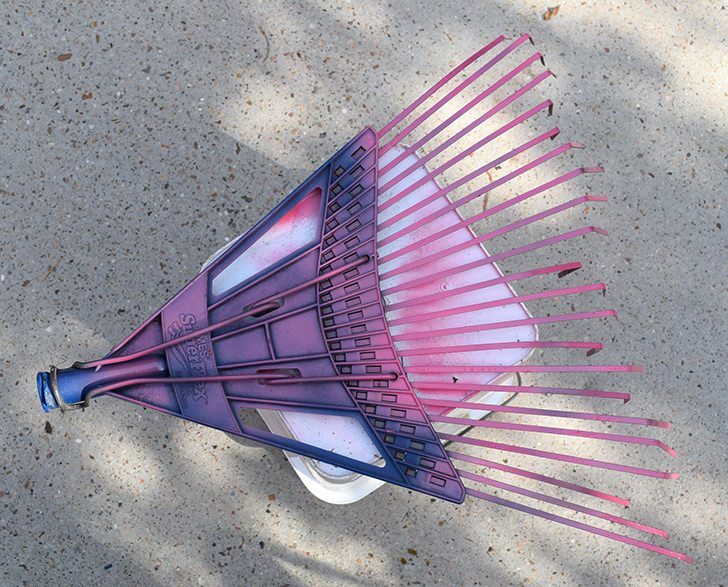 Give your rake a few coats of spray paint, allowing to dry between each coat. I went with pink, which I think everybody thought was strange but I really liked the idea of it with the orange and yellows. Now I decided I wanted a sort of “debris” type of thing going on with the wreath and I was so pleased to find this floral bunch at Walmart for only $3. 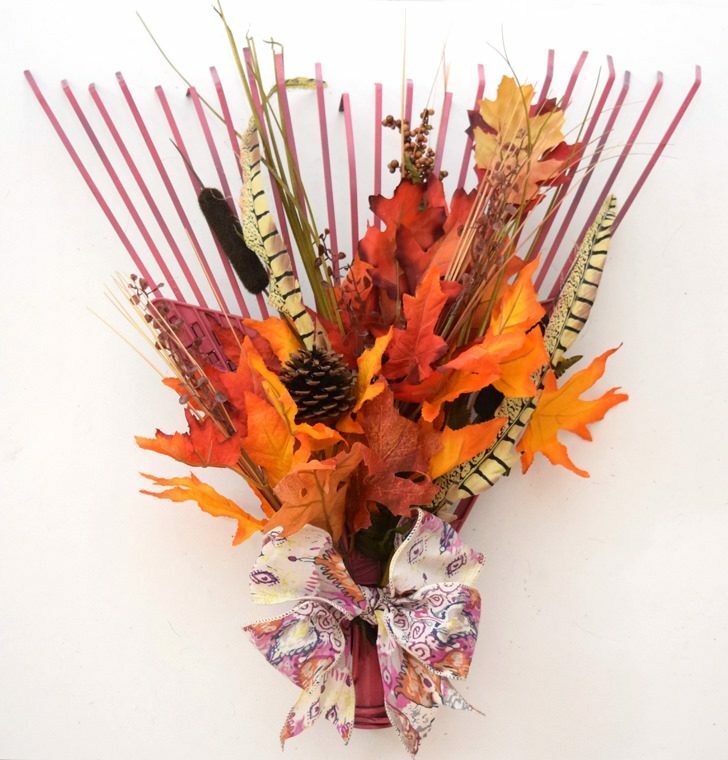 There are feathers and grass and cattails along with the typical autumn leaves. Perfect! Now you don’t need to use any glue at all to make this wreath, which I really like. Instead we’re going to use only floral wire, which is that bit on the right. Using wire cutters, or the cutting part of a pair of needle-nose pliers from the tool box clip a few parts of the bush off. Use your wire to tightly bound the bunch together. Repeat until you have 4 full bunches. To make my wreath fairly evenly filled out I placed 4 bunches. Two just slightly left and right of the center, and then one on each side placed down closer to the base of the rake head. 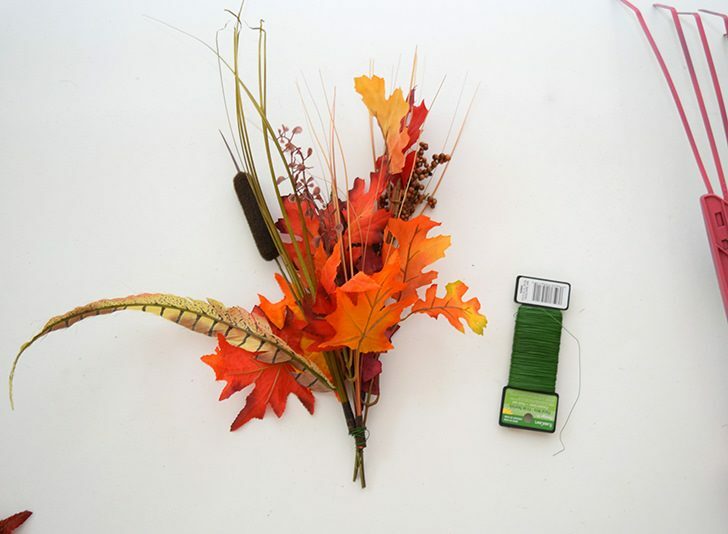 To get these to attach without glue simply take your floral wire and wrap it around and around wherever you can to secure the floral bunch to the rake. It doesn’t need to be neat or pretty as you’re likely to not notice or see it once complete. 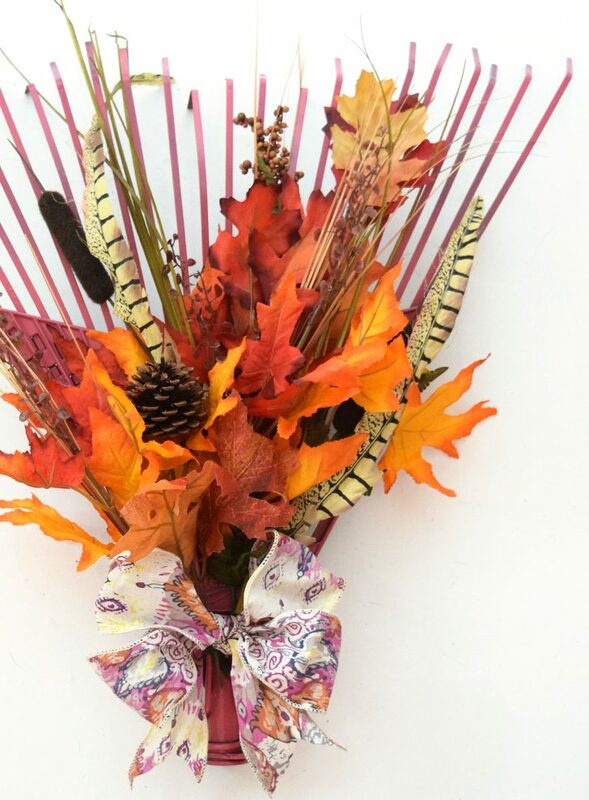 Once you’re happy with the secured florals create a bow from some fall-like ribbon and secure to cover up where you bound the branches to themselves and the rake. Again, use floral wire to affix and you’ll never have to worry about the glue getting too hot or too cold and your wreath falling apart on you. Since I had access to everything but the florals this wreath cost a mere $3 plus tax. Not bad! Wow, this is so cool Allison! 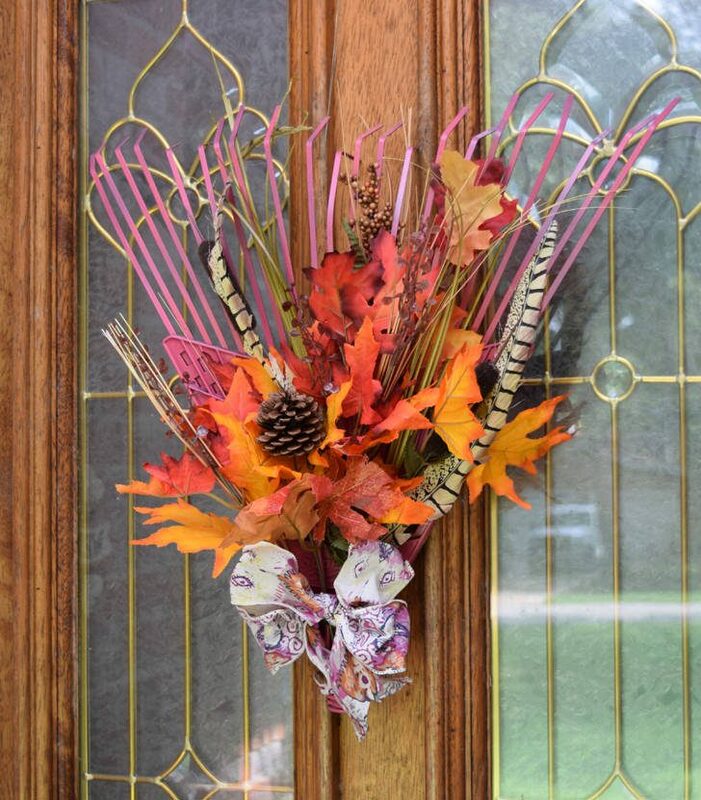 My mom would really like something like this as she likes to put various kinds of reefs up on our door throughout the year, depending on the season. I don’t mind saying that I am so ready for fall this year. After making it through one of the most painful summers of my life (emotionally) and the fact that it’s been so hot here, I think a nice cool transition into fall will be a most wonderful thing. I express true avidity for fall because it’s my favorite season! !